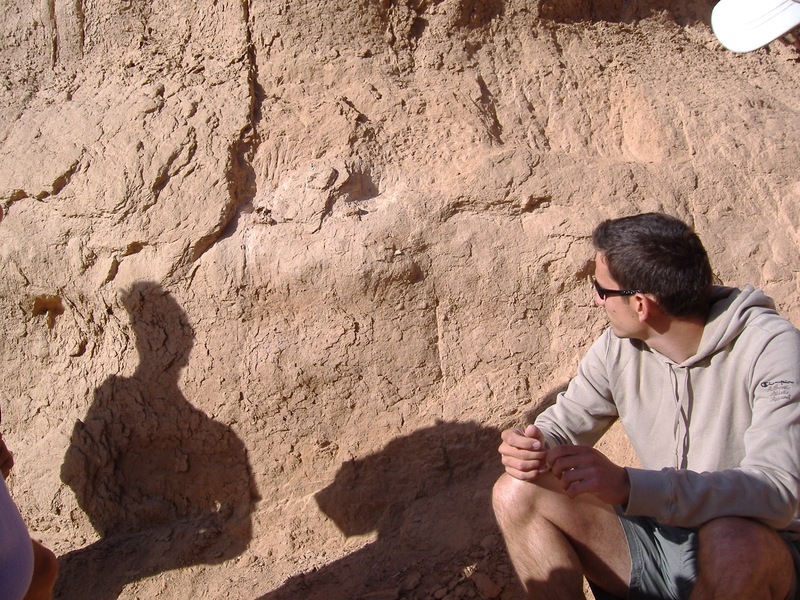 Today I’ve got five questions for Federico Fanti, the lead author on a paper published a few weeks ago in PLoS ONE on a nesting oviraptorosaur. 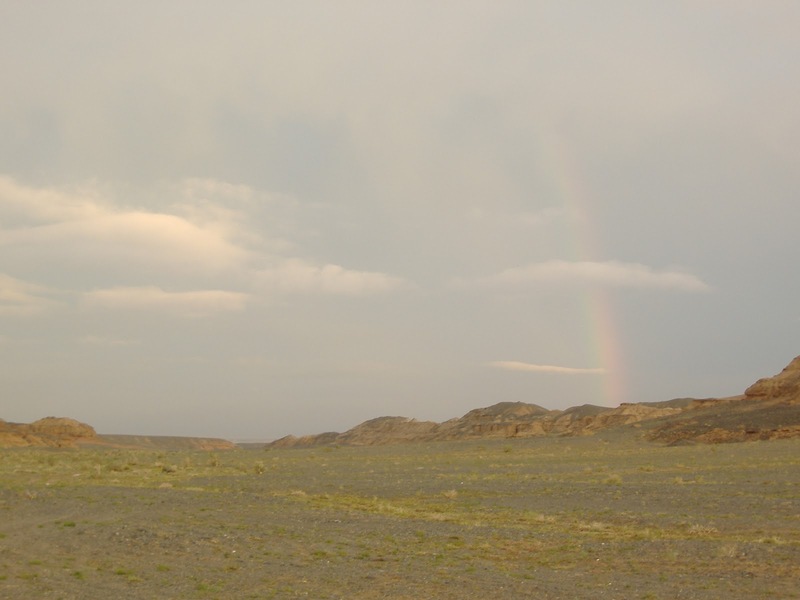 I first met Federico during the 2007 Nomadic Expeditions Dinosaurs of the Gobi expedition, in which we all had a grand time prospecting for dinosaurs and during which we celebrated a fine discovery indeed. Well, the fossil itself! I grew up with incredible pictures taken somewhere in the Gobi Desert of Mongolia, with spectacular fossil remains literally emerging from the vermillion sand. When Phil Currie and I realized that we were looking at a nesting dinosaur we were simply happy and enthusiastic: there are only 5 specimens of brooding dinosaurs known to date in the world, it is a unique find. I couldn’t wait to find out more about this specimen and finally, after more than four years, I’m glad to see the paper out. 2. Nemegtomaia is not exactly a household dinosaur name. Who is Nemegtomaia? Nemegtomaia means “good mother of the Nemegt” and curiously the name was chosen long before our discovery. 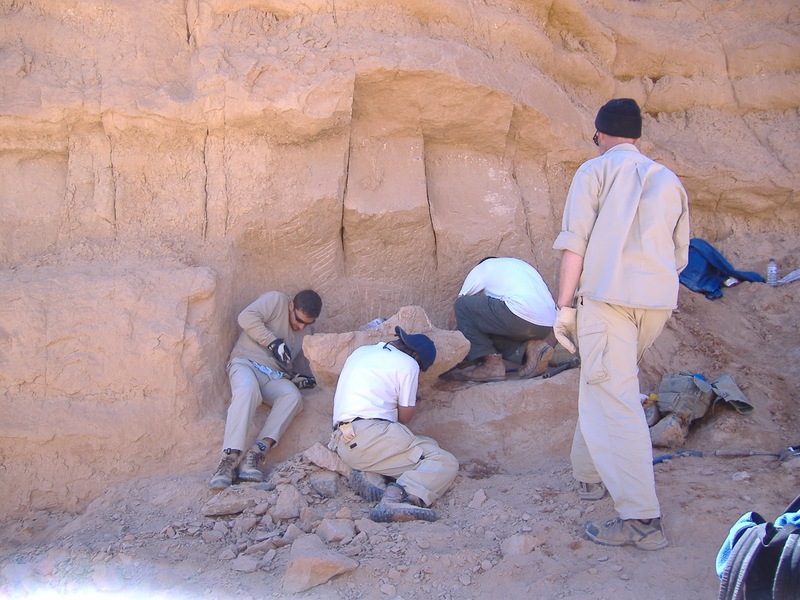 In the ’90s, the type specimen – including a nicely preserved skull – was collected from the Nemegt Formation not far from where we found the nest: however, no trace of eggs or nest were found at the time. The discovery of MPC-D 107/15 (or Mary, as I still like to call it) definitely supports the choice of Nemegtomaia as the name for this species. Nemegtomaia is a genus of oviraptorid dinosaur that inhabited what is today southern Mongolia during the late Cretaceous period, approximately 70 million years ago. It is characterized by a well-developed crest on the skull and relatively short forelimbs with robust claws. 3. What’s so special about MPC-D 107/15? Unlike all other nesting dinosaur that have been discovered so far, this specimen has a nicely preserved skull and therefore it was possible to reliably refer MPC-D 107/15 to the genus Nemegtomaia. Furthermore, within the context of the Nemegt area where dinosaur eggshells are frequently recovered, it was possible to refer a specific egg type to this genus. 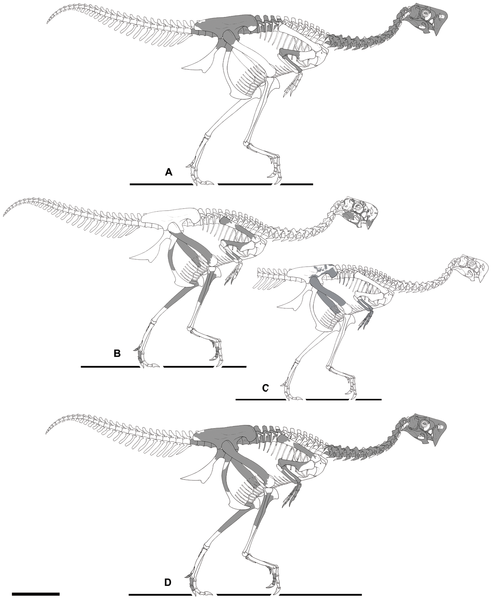 In addition, the preservation of the forelimbs allowed us to reconsider the classification of this genus within the oviraptorosaurs: unlike many other oviraptorid species, in fact, Nemegtomaia has relatively short and robust forelimbs, indicative of different adaptations and behavior. 4. In the acknowledgements section of the paper you note that MPC-D 107/15 was excavated ‘under what were at times difficult circumstances’. How did you find this specimen, and what were the challenges in excavating it? I found the specimen while prospecting in a sayr, a canyon located not far from the Camp. It was barely cropping out from a vertical cliff, about 3 feet from the valley ground. A section of the nest and of the pelvis was visible at the time, meaning that, with the exception of the tail, the skeleton was still preserved in the cliff. 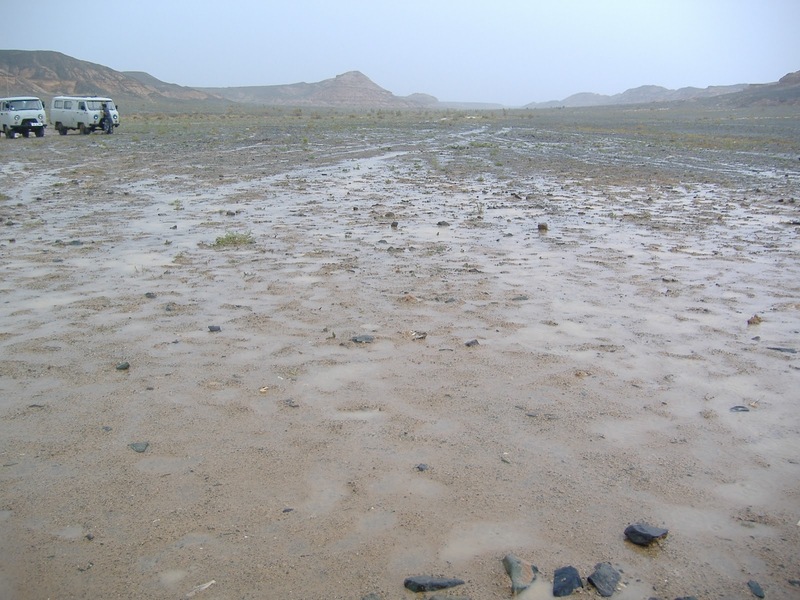 It took a full week and the work of several people to take it out, and I must thank all the people that participated in the 2007 fieldwork (including the author of this blog! [aw, shucks – VMA]) for the help in the field. Difficult circumstances? A mix of heavy rain, collapsing blocks of sandstone alternated with 45 degrees in the shadow are .. interesting circumstances! 5. 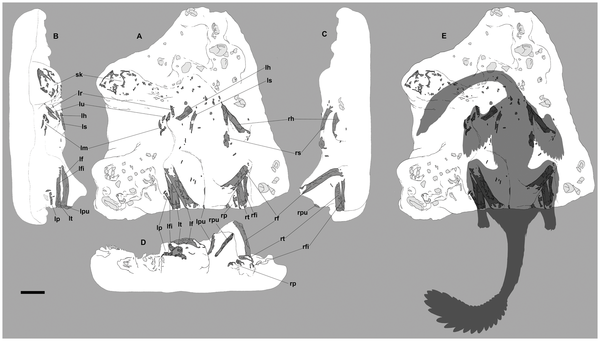 What does this specimen tell us about the nesting habits of oviraptorosaurs? Nemegtomaia has been collected in both the Baruungoyot and Nemegt formations, which are representative of aeolian/desertic and fluvial environments respectively. This indicates that Nemegtomaia was a long-living genus and adapted to different environmental and climatic conditions. The nest preserves approximately 20 eggs: we know from other spectacular specimens of oviraptorid dinosaur that they were able to laid 2 eggs at time, thus we assume that different individual laid their eggs in a single nest. As a consequence, the animals that we discover in brooding position are not necessarily the parents nor the mothers. It is possible that a male was “selected” for parental care during early development of embryos. If you haven’t yet read Fanti et al. (2012), go get it right now for free from PLoS ONE! Thanks Federico! Fanti F, Currie PJ, Badamgarav D. 2012. New specimens of Nemegtomaia from the Baruungoyot and Nemegt Formations (Late Cretaceous) of Mongolia. PLoS ONE 7(2): e31330. Nemegtomaia wasn't necessarily “long living” because it is known from both the Barun Goyot and Nemegt formations. Certainly, living in such different environments indicates it was adaptable. But the Nemegt conformably overlies the Barun Goyot, and the amount of time represented by the two units may not have been very great–probably c 72-70 mya or so. Two million years would be about the duration of many other genera. What is the Nemegtomaias closest living relative?